Electric sports eyewear has been around since March 2000. It was then that Kip Arnette and his colleagues Bruce Beach and Mike Carter unveiled their first collection of Electric sports eyewear in Las Vegas. The lifestyle brand has its roots in extreme sports and draws inspiration from the youth movements around these sports. Electric's logo is a flash of lightning and you could say the label itself has grown in a flash. With high profile endorsements from the surf and winter sports worlds, the label has quickly made a name for itself. This reputation is not built on marketing spin – each new design from Electric confirms its deserved place in the extreme sports eyewear scene. 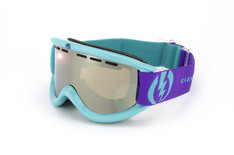 We have a wide selection of ski and snowboard goggles from Electric in the Mister Spex online store. The designers at Electric are always producing creative and unique models, and shaking up the sports eyewear market. With cool colours, fresh style and always outstanding performance, Electric sports eyewear impresses in every respect. Long a favourite of trend-setters on the piste, the trend-sceptics will be won over by the superior quality of these ski and snowboard goggles. 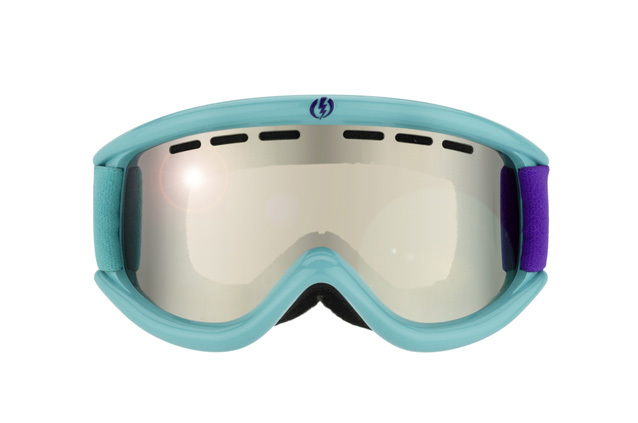 One of the top models in the Electric sports eyewear collection is the crazy-coloured . Here the characteristics of Electric sports eyewear are plain to see: spirit, style and performance. The model is one of the best of the season and guaranteed to catch attention, on the ski lift and aprés ski. Find your new Electric sports eyewear at Mister Spex today! Use the filter options on the left-hand side to search by price, colour or special features. You can even try on any pair of goggles with our Online Fitting Tool. Then just place your order and your new Electric sports eyewear will be delivered to your door. Simple and convenient, at Mister Spex.